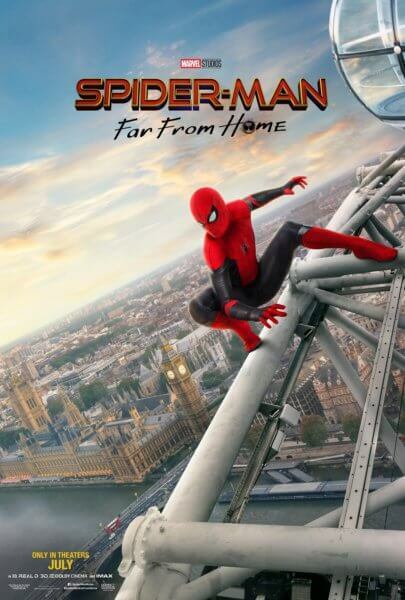 Sony Pictures just unveiled three brand new posters for the upcoming Spider-Man film, Spider-Man: Far From Home. 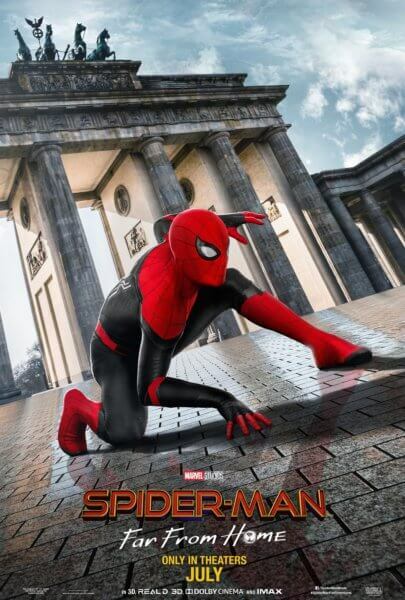 All three posters feature the webslinger, played by Tom Holland, in action. 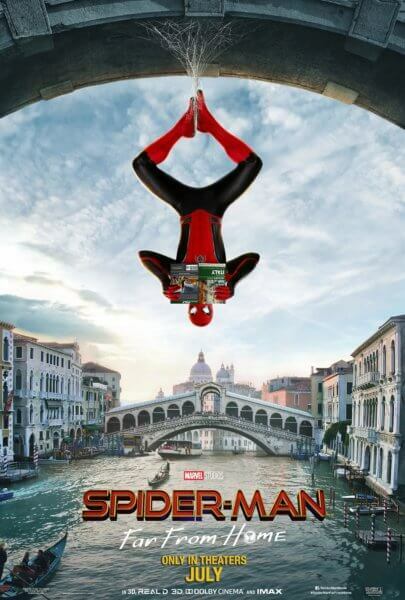 Joining Tom Holland for this 2019 entry in the comic book-inspired franchise are Samuel L. Jackson as Nick Fury, Zendaya as Michelle Jones, Cobie Smulders as Maria Hill, Jon Favreau as Happy Hogan, JB Smoove, Jacob Batalon as Ned, Martin Starr as Mr. Harrington, Best Supporting Actress Oscar winner Marisa Tomei (My Cousin Vinny) as May Parker, and Best Supporting Actor Oscar nominee Jake Gyllenhaal (Brokeback Mountain) as Quentin Beck / Mysterio. Spider-Man: Homecoming director Jon Watts returns to direct from a screenplay by Chris McKenna and Erik Sommers. Kevin Feige and Amy Pascal produced, with Louis D’Esposito, Victoria Alonso, Thomas M. Hammel, Eric Hauserman Carroll, Stan Lee (may he rest in peace), Avi Arad, and Matt Tolmach executive producing. Watts’ behind the scenes team includes director of photography Matthew J. Lloyd, editors Leigh Folsom Boyd and Dan Lebental, production designer Claude Paré, and costume designer Anna B. Sheppard, with music by Michael Giacchino.